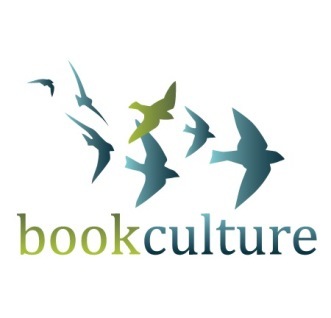 Lauren-Brooke Eisen presents Inside Private Prisons: An American Dilemma in the Age of Mass Incarceration in conversation with Carol S. Steiker. This event includes a book signing. Lauren-Brooke Eisen will discuss Inside Private Prisons: An American Dilemma in the Age of Mass Incarceration with Vincent Schiraldi. 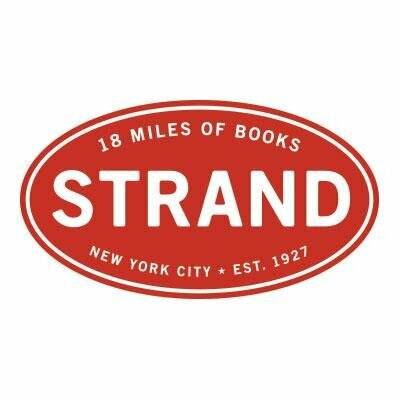 Brennan Center's LB Eisen will speak at Strand Bookstore in NYC about her exciting new book, Inside Private Prisons. Few journalists or scholars have seen these prisons firsthand―until now. 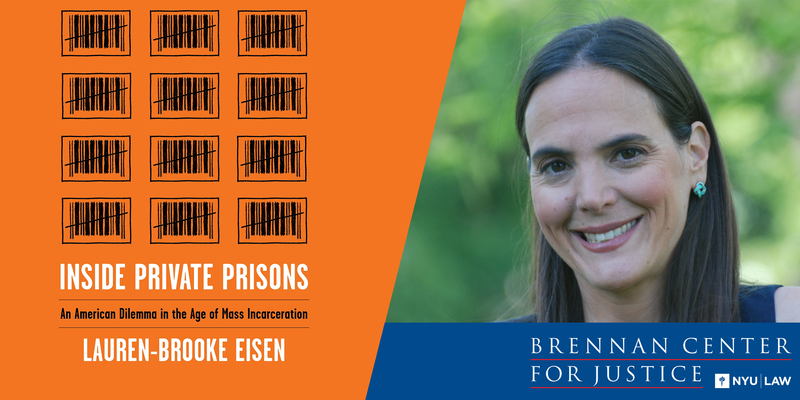 Join Lauren-Brooke Eisen―senior counsel at the Brennan Center for Justice―for the launch of her new book, Inside Private Prisons, as she reflects on her unprecedented access to our nation’s private penal system and what she’s uncovered about these corporate prisons. 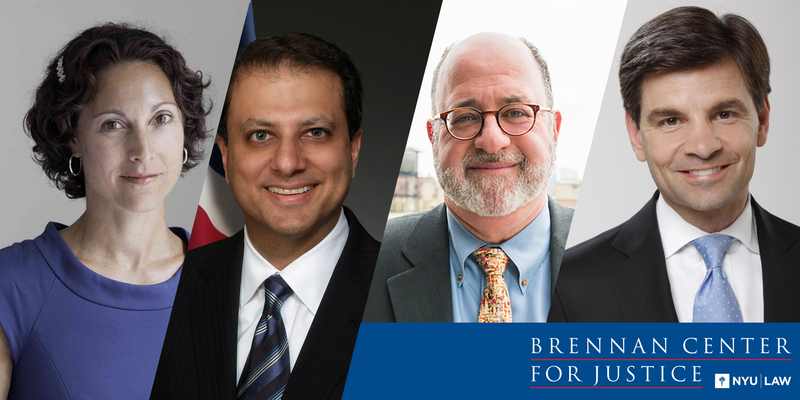 Join the Brennan Center for Justice at NYU Law School, New America, and the American Constitution Society for Law and Policy for a discussion about the future of democracy at home and abroad. 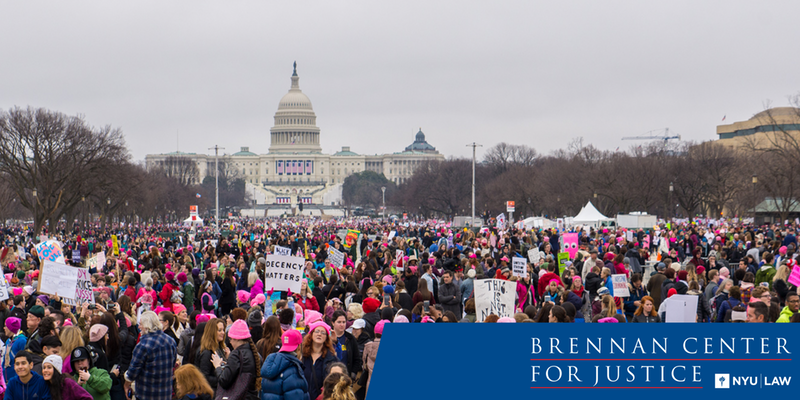 Brennan Center's Nicole Austin-Hillery will participate in a forum to discuss pressing issues impacting the right to vote in the United States, including voter suppression, gerrymandering/redistricting, and felony disenfranchisement. 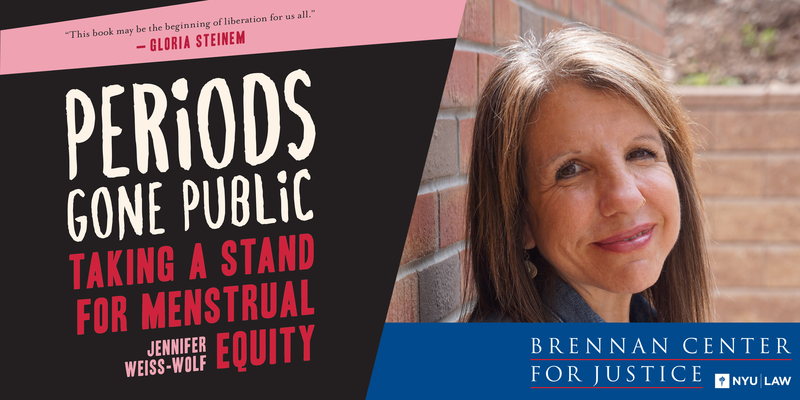 The Brennan Center's Jennifer Weiss-Wolf, author of Periods Gone Public, is joined by Congresswoman Grace Meng and Newsweek's Abigail Jones for a conversation on "menstrual equity." Brennan Center's Nicole Austin-Hillery will join experts to examine pressing issues impacting the right to vote in the United States, including voter suppression, gerrymandering/redistricting, and felony disenfranchisement. Brennan Center's Faiza Patel will be speaking on a panel at International Law Weekend at Fordham Law School in New York City.